Lynsey Addario has captured audiences with her disarming and compelling photographs and her uncanny ability to personalize even the most remote corners of our world. Here, the Pulitzer Prize-winning photojournalist returns with a stunning collection of more than two hundred of her photographs from across the Middle East, South Asia, and Africa. 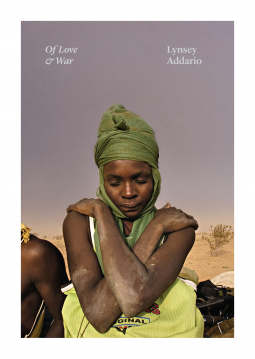 In her distinctively powerful dramatic style, Addario documents life in Afghanistan under the Taliban, the stark truth of sub-Saharan Africa, and the daily reality of women in the Middle East, as well as much more. Featuring revelatory essays from esteemed writers, such as Dexter Filkins, Suzy Hansen, and Lydia Polgreen, Of Love & War is an utterly compelling and singular statement about the world, and all its inescapable chaos and conflict, from one of the most brilliant and influential journalists working today in any medium.